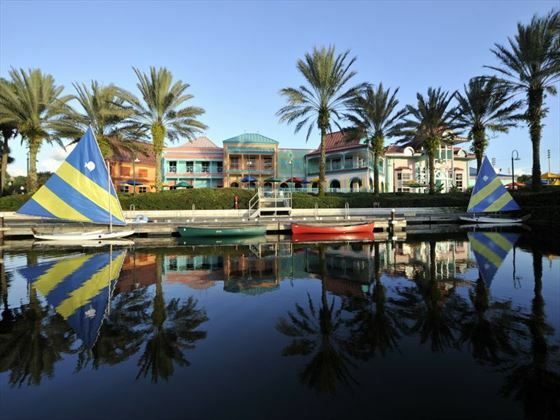 Disney’s Caribbean Beach Resort combines the magic of WALT DISNEY WORLD Resort with the charming atmosphere and stunning beaches of the Caribbean – can you imagine a better combination? Split into six sections, each representing a different part of the Caribbean, you can enjoy the friendly ambiance. A number of the rooms even have a unique pirate theme, which is great for the kids. We think this resort offers a really fun experience for families looking for something a little different from their Disney holiday. Of course you’ll get the complimentary transportation to the theme parks, but when you’re looking for a little down-time from the rides there’s plenty of things to do. There is a total of seven pools, including the large Fuentes del Morro Pool which features two water slides, as well as the Banana Cabana pool bar. There are two on-site restaurants – a fast food outlet called Old Port Royale Food Court and a relaxed full-service restaurant, Shutters. Alternatively, if you fancy something different you can visit the Downtown Disney area where you’ll find a great range of restaurants. Top Tip: Your hire car is the perfect way to get around Orlando, and when you stay at a Disney Hotel you get free parking at both the hotel and the Disney theme parks! 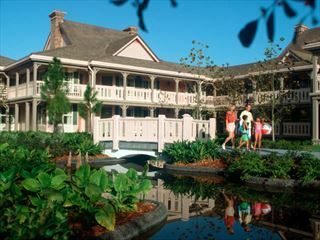 A Disney Moderate Resort located in the Epcot resort area. Standard View – views of the resort, courtyard or woodlands, sleeping 4 people. King Bed – with views of the lake, pool, resort, courtyard or woodlands, featuring one king bed and sleeping up to two people, sleeping 2 people. Pirate Standard View – decked out with pirate themed beds, with views of the resort, courtyard or woodlands, sleeping 4 people. 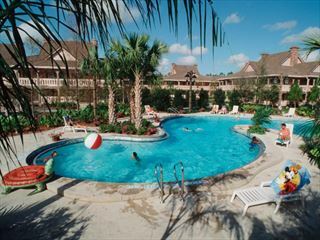 Pirate Water View – decked out with pirate themed beds, with views of the pool or lake, sleeping 4 people. 2018 renovations are currently taking place at Disney's Caribbean Beach Resort in various areas. Work will be carried out between 9am and dusk. Some noise may be heard between these hours as well as their being some visual disturbance. Old Port Royale Food Court, Shutters at Old Port Royale, Banana Cabana Pool Bar and Calypso Trading Post will be closed for refurbishment during this time. There will be a variety of dining options available to guests for breakfast, lunch and dinner. Centertown, a dining location, will serve a Caribbean-style buffet for breakfast and a la carte offerings for dinner. A selection of grab-and-go meals will be conveniently available for purchase throughout the day in three island markets located in the Aruba, Jamaica and Martinique regions of the Resort. Our in-room pizza delivery service will remain available. Coca-Cola Freestyle machines will be available throughout the resort for Guests to refill their resort mugs. Disney dining plans will be accepted for these offerings and dining locations will offer menu options to meet dietary needs. Prices correct as at 6pm on 20 Apr 2019. Please call for final price. Prices are per person based on 2 adults & 2 children sharing. Other durations available - call for quote. Prices include flight and accommodation as stated below and transfers on Disney's Magical Express, this is available from Orlando International Airport only. For more car hire and transfer options please ask your travel expert. For the purposes of the prices above, children are assumed aged 11 and under. Teen prices also available. Pre-register now for FREE DISNEY DINNING! Book your 2020 Disney holiday before 2 Jul 19 and everyone in your party receives FREE Quick Service Dining Plan. PLUS receive Disney's 14-day Ultimate Ticket for the price of 7 days Get ahead of the queue and pre-register your interest today. Bookings open 25th April 2019. 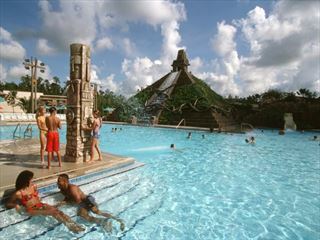 Enjoy an amazing Disney holiday at Disney's Coronado Springs Resort. The Mayan-themed swimming pool makes for great fun for the kids and lovely restaurants on site make the perfect end to the day.